Subscribing to Netflix, Amazon, or Hulu costs less than $15 a month -- a bargain some might say. But there are still a lot of people who avoid that modest monthly subscription by using a friend or family member’s login. What's up with Netflix streaming problems? OK, so give Netflix credit -- it pioneered DVD movie rentals by mail, then morphed itself into the top video-streaming service, it's adding original content faster than anybody and laying out big bucks to license more content. But none of that does much good if the video streaming works poorly or not at all, as seems to be the case for a growing number of consumers. When it comes to pressing social issues, this is probably not anywhere close to the top of the list. It might not even be on the list. Netflix has released a new study showing 48% of the couples who are members have admitted to “cheating” on their significant other. Not sexual infidelity, mind you. They've cheated by binge-watching future episodes of a show the couple had agreed to watch together. Netflix highlighted the “problem” in a 2014 advertising campaign, below. For example: if you are a Netflix customer, it's perfectly fine if you wish to contact Netflix because you think you're having a problem. But if Netflix contacts you about a problem — don't believe it. Chances are it's not really Netflix, but a sleazy would-be thief impersonating Netflix in the latest attempt at a phishing scam. Security blogger Jerome Segura of Malwarebytes discovered the latest Netflix-flavored phishing scam, which at heart is the same as any phishing attempt: a would-be hacker poses as a business or financial institution – Netflix, Microsoft, your bank or cell phone company or anyone else – and asks for your account numbers, passwords and other information identity thieves find useful. Segura pretended to “fall for” the Netflix phishing scam, with a computer he'd specifically set up to be used as hacker-bait. (Which is another way of saying: do not try this at home, or at work, with your own computer.) The phishers, whose IP address traced back to somewhere in India, took full control of Segura's computer and stole copies of files with names like “Banking2013” -- nothing any legitimate Netflix IT guy would need to see, in other words. Segura posted screenshot highlights, along with a full seven-minute video of the phishers' trip through his bait-computer files, on Malwarebytes. But suppose that you, unsuspecting, received the same bait email Segura got, and furthermore suppose you decide to ignore the “Don't call us; we'll call you” rule of Internet scam protection. Or maybe you're just legitimately scared – “Gee, maybe there is something wrong with my Netflix account, and the company really is trying to warn me about it!” What can you do to protect yourself? Easy: if you want to contact Netflix (or any other company in existence) because you're worried about a possible warning email or phone call or text message allegedly from that company, do your own independent online search for the company's contact information, rather than accept the information offered in the email. When Segura got that fake Netflix phishing message, for example, it urged him to call a certain 1-800 phone number, allegedly for Netflix's “Member services.” But if you go to Google and search for “Netflix member service number” (without quotation marks), you will discover that, in Netflix corporate terminology, there is no such thing as a “Member service number,” although there is a “Customer service number,” 1-866-579-7172, which is completely different from the number the phishers asked Segura to call. You've got to hand it to Redbox. It thinks big. And right now it's thinking of big price increases in the DVDs, Blu-ray Discs and videogames it rents from its familiar big red boxes. On Dec. 2, the daily price of a DVD rental will go from $1.20 to $1.50 and a Blu-ray Disc will from from $1.50 to $2. In January, daily rental rates for videogames will go from $2 to $3. The company said it has conducted extensive market testing over the last few months and is confident the increased revenue will exceed any losses in market share. 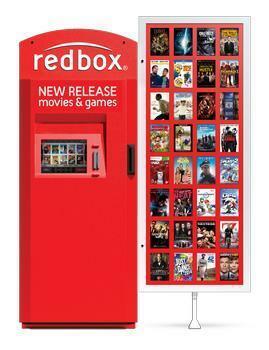 However, Redbox caters to lower-income customers who can't afford cable or satellite hook-ups, so it's always possible the big red box may hit a big red wall if it gets too aggressive with its pricing. Redbox operates vending kiosks at more than 35,000 locations, including gas stations and grocery stores, as well as at some Walgreens, Walmart and McDonald’s locations. The company says that besides raising prices, it is starting a new "recommendation engine" that will help customers find movies that they're likely to enjoy. It's said to be similar to the algorithms used by Netflix, Amazon and other companies that offer suggestions based on past buying habits. Consumers are increasingly turning to Netflix for their video entertainment, preferring the platform's video-on-demand model to traditional television. A survey by Cowen & Co., a Wall Street financial services firm, shows 27 percent of consumers said they get most of their television entertainment through Netflix, compared to 20 percent who mostly watch basic cable, and 18 percent who watch over-the-air broadcast television. Netflix hopes that binge-worthy, not cringe-worthy, will remain the name of its game after the movie platform suffered through a beta test of running what appeared to be commercials between episodes and movies. The move created a serious backlash from subscribers even though they could “skip” the message with the click of a button. 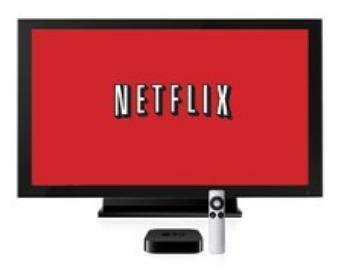 Going forward, Netflix subscribers will have to pay a little more for the streaming service. The company announced Tuesday that, effective immediately, its basic plan will cost $9, up from $8; its HD standard plan (Netflix’s most popular plan) will cost $13, up from $11; and its 4K premium plan will cost $16, up from $14. Netflix had better watch it. There may not be room in town for both Netflix and Amazon Prime. Prime today got the drop on Netflix as it scored an exclusive deal to distribute a couple of FX shows -- "Justified" and "The Shield" -- online. Amazon said it has reached a content licensing agreement with Sony Pictures Television to make Amazon Prime the exclusive location to watch FX's "Justified" and "The Shield." Prime subscribers can watch the shows for free, while other Amazon visitors can purchase and download episodes for $1.99 apiece. 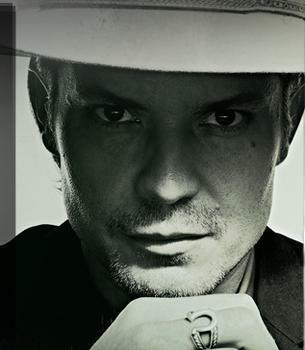 "Justified" is a gritty series bult around the deeds and misdeeds of Raylan Givens, a U.S. Marshal based in the backwater reaches of Kentucky, with Timothy Olyphant of "Deadwood" fame playing the lead. It's been one of the most watched shows on Amazon Instant Video, where customers can purchase and download episodes for $1.99 each, and will now be available to Prime members at no additional cost, the company said. In addition, Prime Instant Video will add the inner-city Los Angeles crime drama "The Shield" to its catalog. Amazon stole some thunder earlier this month when it acquired exclusive online rights to the PBS hit "Downton Abbey." 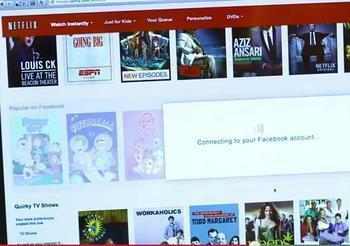 So, would you like to see what your Facebook friends are watching on Netflix? How about letting your FB buddies see what you're watching? That sounds spooky to a lot of people but it's apparently something Netflix customers have been saying they want, and now it's here. Netflix announced today that its U.S. members will be able to connect to Facebook and agree to share favorite TV shows and movies on Netflix. The company will be turning on the feature "over the coming days" and expects that all U.S. members will have access to the social feature by the end of the week. "There are few better ways to find a movie or TV series you'll love than hearing about it from your friends," said Tom Willerer, vice president of product innovation at Netflix. "Facebook already makes it easy for our international members to connect with friends over TV shows and movies and we're thrilled to now bring this experience to our U.S. members." The feature has been available internationally for quite some time but, until recently, it was prohibited in the U.S. by something called the Video Privacy Protection Act, enacted in 1988 to keep prying eyes from finding out what movies consumers rented from Blockbuster and other video rental stores. It was amended by Congess last year after some intensive lobbying by Netflix. The new Netflix/Facebook integration lets Netflix members see what their friends have watched by adding new "Friends' Favorites" and "Watched by your friends" rows to Netflix. Members also automatically share what they watch only within Netflix and can optionally share what they've watched to Facebook, Netflix said. "People naturally talk about TV shows and movies and love to share their experiences," said Willerer. "Through the Netflix/Facebook integration we want to let Netflix members express themselves on Facebook and provide a digital version of the proverbial water cooler." "By default, sharing will only happen on Netflix," Cameron Johnson, director of product innovation at Netflix, wrote in a blog post. "You'll see what titles your friends have watched in a new 'Watched by your friends' row and what they have rated four or five stars in a new 'Friends' Favorites' row. Your friends will also be able to see what you watch." In another sign that watching TV online has become mainstream, Mariott Hotels has announced it will begin replacing guest room TV sets with Internet-connected sets. A press release announcing the move emphasizes a relationship with Netflix, noting guests will be able to watch Netflix content on TV sets in their rooms when they travel. However, Marriott isn't providing a Netflix subscription, only a way to watch it. Smart TVs, connected to the Internet, will replace those that just offer typical cable channels. To watch Netflix, guests must access their own accounts or subscribe. According to the press release the Internet-connected TVs will have the Netflix app. Presumably there will not be apps for Netflix competitors and no way to view other Internet content. While Marriott isn't exactly making everything on the Internet accessible through in-room TVs, it's a big step for any hotel chain. Many hotels, after all, sell premium content to guests. Watching Netflix for free could be stiff competition. With the agreement, Marriott says it is the first hotel brand authorized to offer guests direct access to their Netflix accounts as part of its guest room entertainment offering. Netflix is currently available at 6 Marriott properties, with 6 more launching this summer. The hotel plans to expand Internet TVs to 100 of its properties by the end of 2015, and to nearly all of its more than 300 properties in the U.S. by the end of 2016. The company says guests staying multiple days only have to login to their accounts once throughout their stay. When guests checkout, it says all account information is wiped clean from the televisions. Marriott said a report from Accenture, showing more than half of U.S. consumers watch Internet television, was persuasive in moving it in that direction. In testing at hotels, the number of guests using any of the Internet apps on the guest room televisions was as high as 26%, depending on the property. Netflix subscribers will notice that some recently released Hollywood blockbusters will disappear from the on-demand line-up soon. The company has announced it is ending its relationship with Epix, the cable network that holds the rights to popular movies like Hunger Games: Catching Fire, World War Z, and Transformers: Age of Extinction. The movies go away at the end of September when the Epix contract with Netflix expires. But if you think it is Epix that is pulling the plug on Netflix, then you would be mistaken. In an announcement Sunday, Netflix Chief Content Officer Ted Sarandos said Netflix has chosen not to renew its agreement because Epix movies are available from other providers. It's part of the company's strategy to focus on original and exclusive content. It appears to be a very different situation from four years ago, when Netflix was primarily an on-demand movie service heavily dependent on Starz Entertainment's vast library. In September 2011, Starz announced it would not renew its contract with Netflix. Netflix was willing to pay Starz's price for the movies, but that was not the issue. The issue, apparently, was that Netflix did not charge consumers enough to view the content. “This decision is a result of our strategy to protect the premium nature of our brand by preserving the appropriate pricing and packaging of our exclusive and highly valuable content,” Starz CEO Chris Albrecht said at the time. “With our current studio rights and growing original programming presence, the network is in an excellent position to evaluate new opportunities and expand its overall business." Starz also licensed its content to cable TV providers, who charged a lot more for their services. The implication being that allowing Netflix to provide access to movies at $8 a month was a threat to services charging 10 times that amount. Then an unexpected thing happened. Netflix did not crumble as perhaps many in the industry hoped it would. It began buying up rights to TV series – the only content it could find to replace the lost movies. Subscribers seemed to embace it. “Binge watching” entered into the common vocabulary, as viewers would sit down and watch an entire season of a series in a weekend. It helped that many of the series that were available, like “Breaking Bad” and “Mad Men,” were of higher quality than most movies. Since then, Netflix has more or less redefined itself and now has an emphasis on original programming, with series like the award-winning House of Cards and Orange is the New Black. Sarandos says the emphasis on original content will continue, and will also extend to feature films. Meanwhile, Epix films will be available elsewhere. The company signed a deal with Amazon Prime in 2012 and will begin distributing content through Hulu in October. Over the last few days, Netflix announced two new changes that will alter users’ experience moving forward. For starters, the platform stated months ago that it would be doing away with user reviews, and that time has finally come. Additionally, though just in the testing phases as of right now, the company has started showing short promo videos of Netflix shows in between episodes of other Netflix shows.